Russian Foreign Minister Sergei Lavrov travels to Saudi Arabia Friday to discuss the situation in Syria and Iraq, an Russian Foreign Ministry official said. 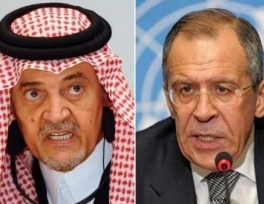 "Lavrov will visit Jeddah at the invitation of Saud al-Faisal, Minister of Foreign Affairs of the Kingdom of Saudi Arabia, for talks with members of the Saudi leadership," the official noted. "During the forthcoming meetings, they plan to discuss the situation in Syria and around it, the state of affairs in Iraq, matters of ensuring security in the Gulf, as well as topical aspects of Russian-Saudi interaction, including a political dialogue and cooperation in the trade-and-economic sphere," the official added. Russia and Saudi Arabia are engaged in an active dialogue in various spheres. On June 3, al-Faisal visited Sochi where he met with Russia's President Vladimir Putin and Lavrov. 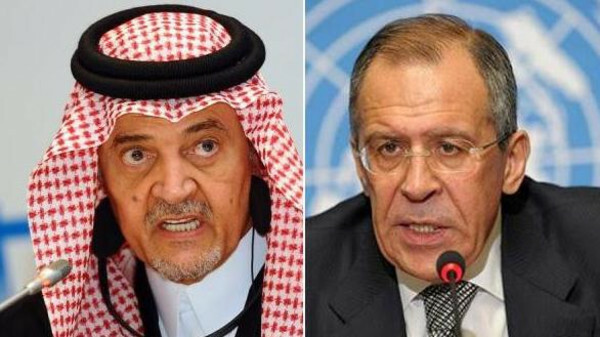 On June 9, Lavrov and al-Faisal had a telephone conversation on the initiative of the Saudi side. They discussed efforts towards settling the crisis in Syria and other conflict situations in the region. The two countries also develop economic cooperation, including in the energy sphere. On June 18, Russia and Saudi Arabia agreed on a draft intergovernmental framework agreement on cooperation in peaceful uses of nuclear energy and subsequent steps in preparing the agreement for signature.